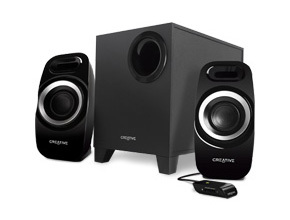 Creative just improved their Inspire speaker system series with Creative Inspire T3300 and Inspire T6300 speaker system. 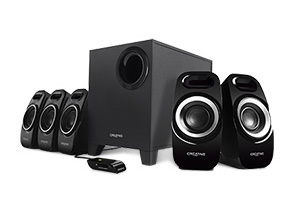 The 2.1 Creative Inspire T3300 speaker system is a good choice for your music, movie or PC entertainment, while the 5.1 Creative Inspire T6300 speaker system is specially for the gamers and better movie entertainment experience on the PC or notebook. SEE THE REPUTATION OF CREATIVE. What a reputation!! CEO doesn't see all these??????????? HP is worse. Many others not much better. i agreed that they Lack of Hardware and Software Supports. Lots Of Products Easily End Of Life and Not Usable within 1 Year like their Video Conferencing. Everyone Was Discouraged To Purchase Things Which Are Creative. Look At Successful Company like Apple. I Still Getting Updates From Their Products After 3 Years. consumers are Not Stupid. They are Willing To Pay More For Such Supports. They Are Not Willing To Buy Anything For Lousy Products And Supports. Sim Wong Hoo Is To Be Blame As He Lost Concentration In His Company. is It True That He Is A Womeniser? i Dun Believe But This Company certainly Is Failing.